This refreshingly full flavoured drink is fresh and herbal, the ideal way to help maintain your well-being at any time of the day. A wonderful addition to your herbal, caffeine-free tea collection. Fennel (100%).Suitable for vegetarians and vegans. 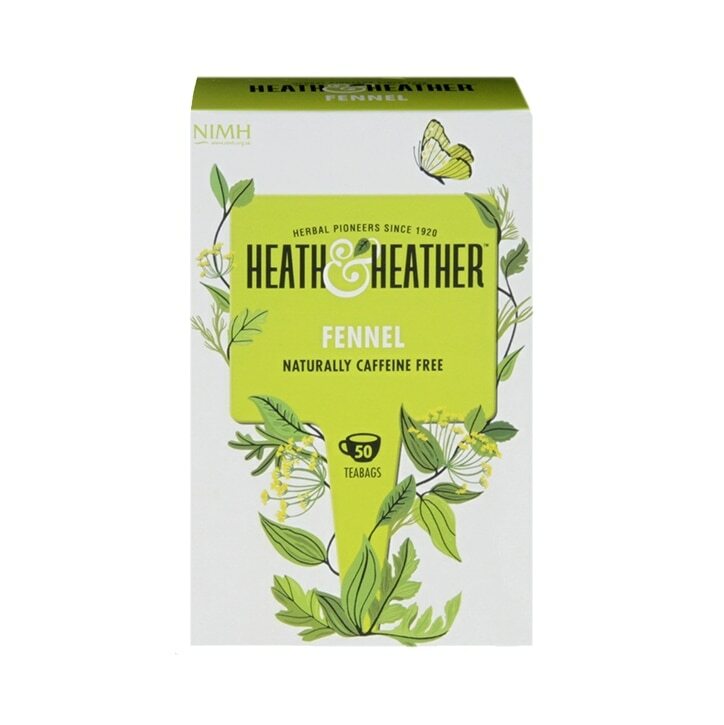 Heath & Heather Fennel Herbal Infusions is rated 4.8 out of 5 by 11. Rated 5 out of 5 by Sew56 from Calms Stomach I have been drinking this before breakfast for several years to calm my stomach. Much more tasty than Heath & Heather's organic individually wrapped fennel tea bags. Rated 3 out of 5 by LoraineMacG from Lovely taste and aroma ! I have indulged in this tea for years ! It is wonderful, lovely taste and aroma very comforting as you feel in go down. I do have reflux and this tea just caresses the sore area, takes the pain away,really ! It gives instant relief. Rated 5 out of 5 by blossomcupcake from Lovely Tea A great digestive aid. My husband and I have it after meals. Rated 5 out of 5 by Liza52 from I simple enjoy it! I have tried fennel now for several months and love the taste of it and find it satisfying. Rated 5 out of 5 by Jan55 from Great taste Very pleased with this tea, much better than other brands I have tried. Great delivery service.